The Strength tarot card is an entirely appropriate subject for our summer 2004/2005 edition of the Tarot Guild magazine, The Magician. Download it here. The featured card is Judgement, and we present a host of judgement tarot articles. 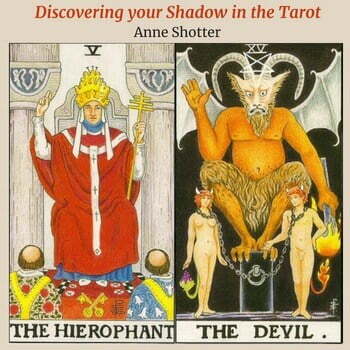 In this presentation Anne shall use the Tarot as a guide for the journey of discovering the shadow aspects of the self and how they originated; how to recognise shadow in a tarot reading and introduce specific spreads to help with this task. This is a digital file MP3 download.